Enerlice is the distributor and official partner of V-AIR UGE for France. 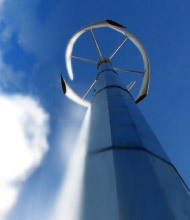 This manufacturer is the world leader for wind turbines using Darrieus technology, with references in 100 countries. 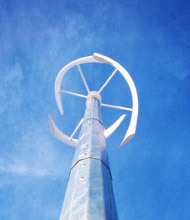 Enerlice carries out the installation, maintenance and repair of these turbines. 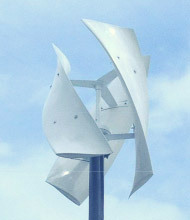 UGE was created in 2008 in New York, and has quickly established itself as the world leader in vertical small wind turbines, due to the quality and aesthetics of its turbines. UGE then had its headquarter in New York, a commercial office in Beijing, and its manufacturing plant, with American standards, in China Hebei province, north of Beijing. At the end of 2016, the wind power division is renamed V-AIR and is sold to the Chinese shareholders of UGE, who keep the plant and strengthen the Beijing office. In 2018, after an audit of ENERLICE, V-AIR signed an exclusive partnership with ENERLICE for the distribution and technical sipport of V-AIR in Europe, through a sales office in France located in Bordeaux.